Indian ecommerce industry is in the midst of a strange dilemma right now, which has nothing to do with revenues or profit. It’s the faster-than-imagined adoptation of mobile apps which is confusing them. After Myntra decided to ditch their desktop website and become app-only, the industry started murmuring about a huge change. But when Flipkart, India’s biggest ecommerce portal, decided to embrace app-only approach, and announced that they will shut down their website, this murmur grew into a huge debate. But what exactly is driving Flipkart, Myntra and other portals to use only mobile applications to sell their products? Why are they actually ditching desktop versions of their website so soon? 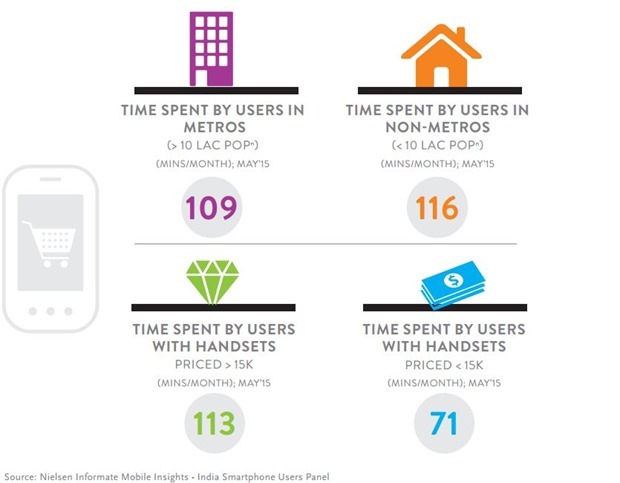 Global information and measurement company Nielsen & Informate, a mobile intelligence company, have prepared a report which digs deep into the app-usage trends in India right now, and the results are pretty exciting. It gives us a hint of what convinced Rs 96,000 crore worth Flipkart to take the extreme decision of going app-only. – Right now, 54% of smartphone users are using applications for shopping purpose, which has increased from 21% a year back. 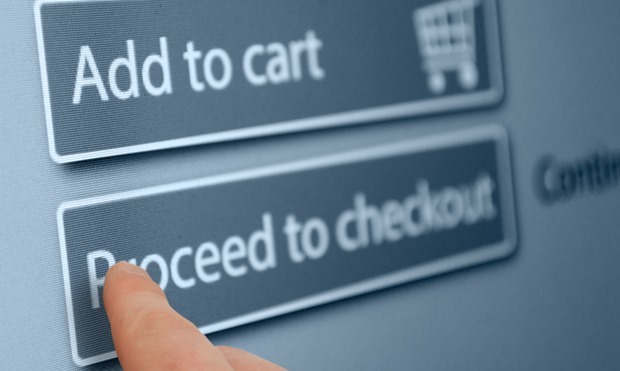 Infact, only 45% of desktop users have adapted to online shopping. 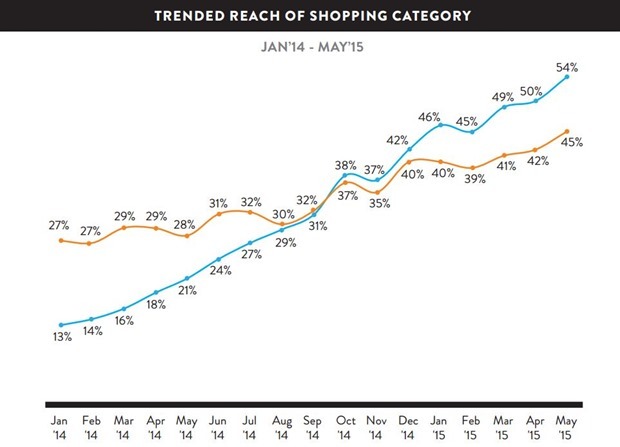 This means that smartphone users have actually overtaken desktop users in ecommerce. – Flipkart has been declared as the biggest shopping app of India as of now. It has a reach of 35% and an average user spends 59 minutes per month on this app. 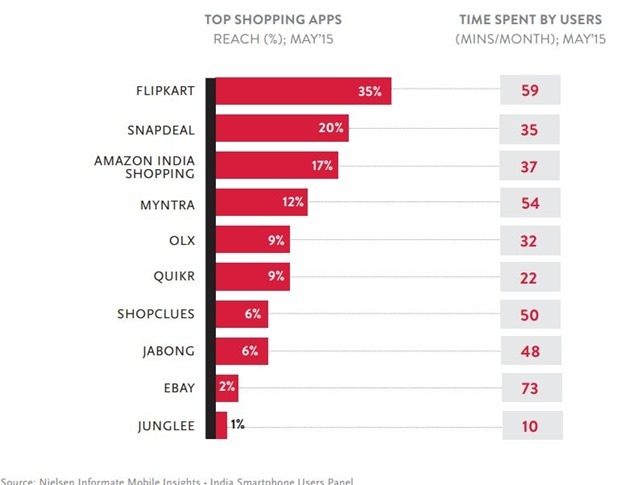 Comparably, Snapdeal is 2nd biggest app with 20% share and 35 minutes/month usage by a user. Amazon is at 3rd position with 17% share and usage of 37 mins/month, per user. – Women are the chief driving source for this upsurge in app based shopping trend in India. On an average, an India women spends 119 minutes per month on mobile shopping apps, compared to 103 minutes spent by men. 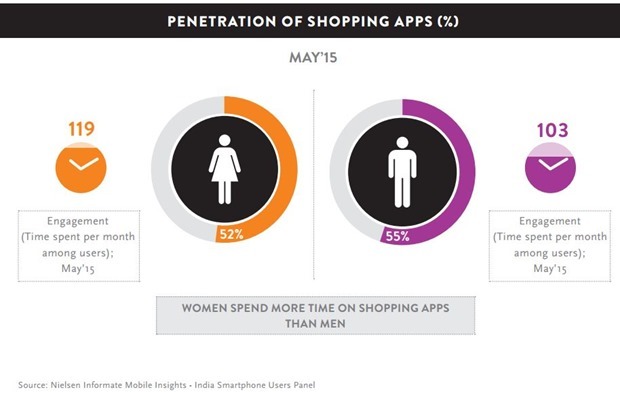 Hence, women are spending 16 more minutes than men on their shopping apps. – However, penetration of mobile apps among men is still higher, compared to women. 55% of all men having smartphones, use shopping app while this is 52% for women. – Smartphone users in rural cities, having sub-Rs 15,000 handsets are more prone to shopping via apps, compared to an urban user. A typical user in non-metro location (having population of less than 10 lakh) will spend 116 minutes / month on his/her mobile shopping apps, while a metro user will spend 109 minutes. Point to noted here, that in 2013, Nielson had found that users are preferring desktop sites for shopping, compared to mobile apps. Infact, only 3% of smartphone users ever used an app for shopping in that year. Within 2 years, the scenario has completely reversed, as app-only shopping experience is more than widespread than desktop usage. The explosion of mobile usage in Tier 2 and Tier 3 cities have been the driving force behind this revolution, besides the fact that lots of brands and products are not available in these cities. Plus, the facility of Cash on Delivery is another factor which is driving app-only shopping experience for rural population. But if we again observe the report, then we will find that only 45% of desktop users have adapted to online shopping experience, which is no doubt less than 54% of smartphone users, but still a fact none the less. Within next 2-3 years, as more and more desktop users adapt to online shopping experience, they will find that Flipkart and Myntra are absent from their focus. On the other hand, other ecommerce portals such as Amazon, Snapdeal, Ebay etc have assured that they will be aggressive on their mobile apps, but will remain present on desktop as well. The emergence of mobile based shopping protocol doesn’t mean that desktop version has to die. The market is huge, enormous right now; and the smart marketer and entrepreneur will nurture both desktop and mobile versions for maximum benefits. You can find the complete report from Nielsen & Informate here. Desktop website is good to have. 1. It gives a good user experience to consumers at the time of buying things. 2. Consumer can view/feel the product on desktop’s big screen better than compare to smart phone screen. 3. On desktop, user can view all the necessary information in detail compare to smart phone. 4. User can compare price of products easily on desktop website compare to smartphone. And, there are much more reasons to have desktop website.